*Note: the Limited Production Black Recaro optioned Trans Am numbered only 2,000 units. This Black vehicle was trimmed in Gold decals. 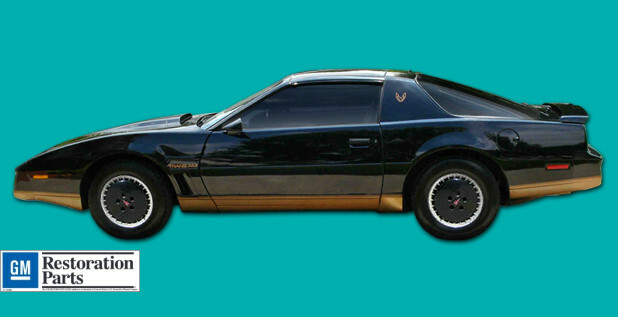 1982 Summons in the third generation Firebird and Trans Am. 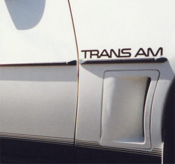 Over 52,000 Trans Am were sold making this a very popular decal and stripe kit. This kit applies to every Trans Am made. Our low price includes everything need to bring your Trans Am back to its original factory condition. All 2,000 black Trans Am were NASCAR Limited Editions. If you are lucky enough to have one of these don't forget to get the door handle emblem set.